Aven Colony is an indie Citybuilding Sim in an offworld setting. Full Disclosure: I’ve never been a big fan of any sim-like games myself but I wanted to give this one a shot because of its appealing Sci-Fi setting. A view like this could get anyone interested! 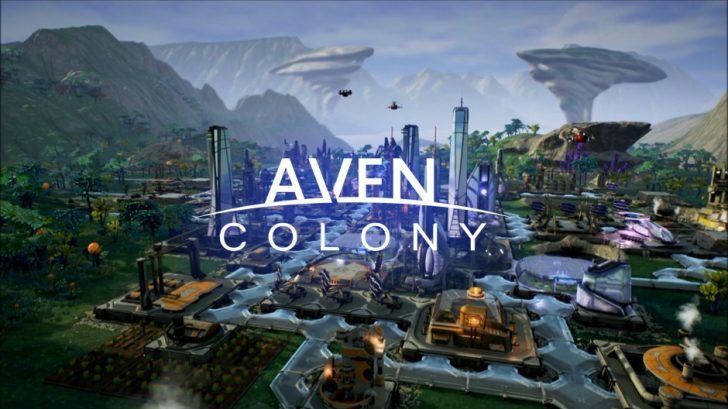 You’ll be playing as a Governor for several new colonies on the alien planet Aven Prime. Your main job will be to grow the colonies while keeping their inhabitants safe and happy. If you don’t succeed in doing this, they can vote in a referendum and that will be game over. So you better brush up those people pleasing skills and remember the basic necessities for human life to thrive. 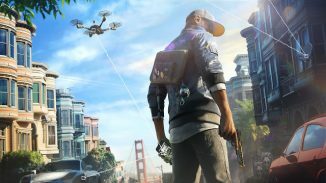 Visually the game didn’t disappoint; the environments look nice and succeed in making you feel like you’re no longer on Planet Earth while the buildings looked futuristic with interesting details and animations. The problem with games like these however is that you spend most of your time zoomed out, as to get a better overview of what you’re supposed to be doing, so you can’t really appreciate all the effort that has been put into them unless you have a closer look. 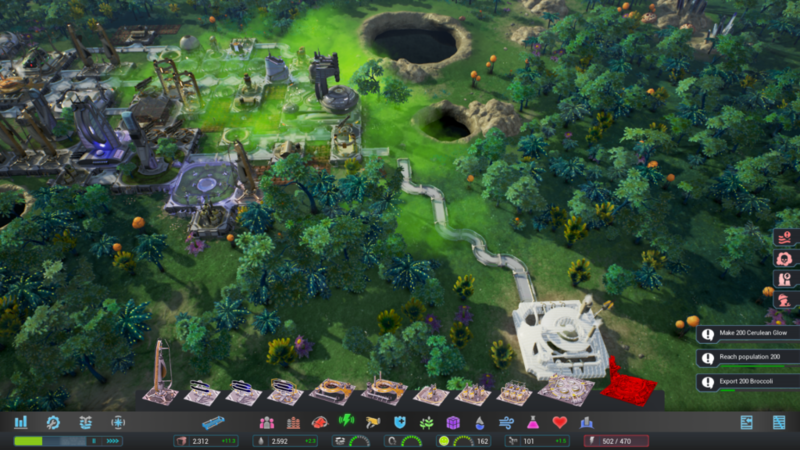 This leads to one of my main concerns with the game however: further into a mission, when your colony has grown, it can become hard to quickly identify a building on looks alone. They all seem to blend in together and this makes it frustrating if you had a specific upgrade or action in mind but can’t seem to find your way around your own settlement. This could have been avoided if each building had a specific colour according to its purpose: yellow for power, green for farms, blue for water, etc. 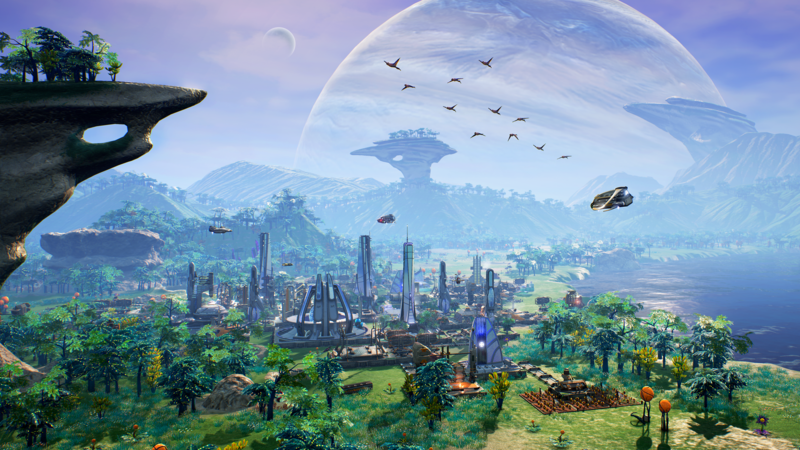 Aven Colony has a pretty decent Audio design too: There are plenty of sound effects from environmental ones like wind and thunderstorms to the buzzing construction sounds your drones produce when creating a new buildings. If you zoom in and select your colonists you’ll even get some lines of dialog. The background music was also varied enough and had some interesting standouts. When playing on the Steam version however, I had three instances where the background music disappeared for some time. It came back after a few seconds so I didn’t worry about it too much. While on the topic of unexpected behaviour, my main gripe with the experience was encountering so many bugs. 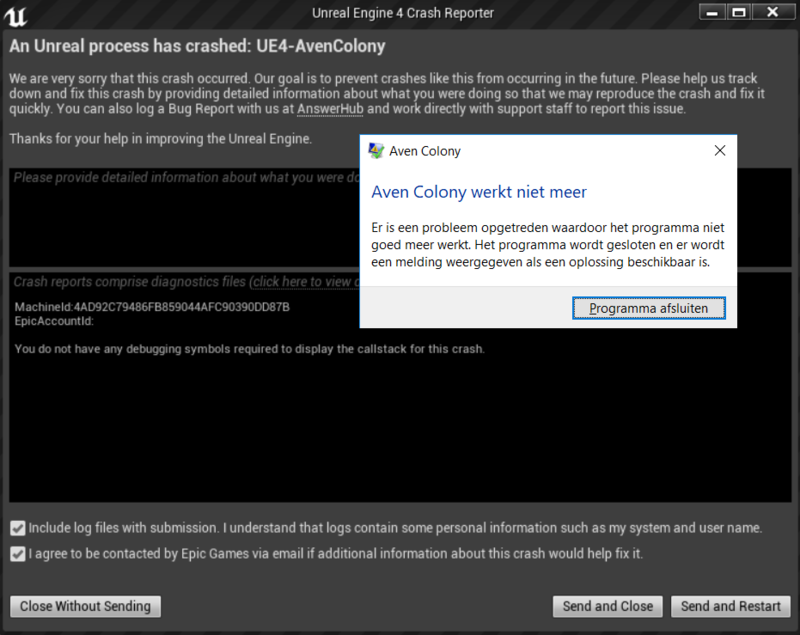 I had 4 instances of the game shutting down on me: “Aven Colony has stopped working” and 3 times I had “An Unreal process has crashed”. This last one seemed to have the option to send log files to Epic Games so I hope they get in contact with Mothership entertainment and that this gets sorted out before the release. I’m just happy Aven Colony has an autosave future, so each time it happened I could simply restart and be back on track in no time. 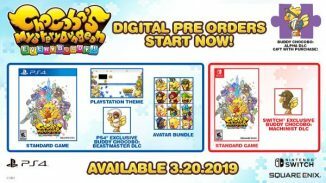 For this preview I was allowed to check the first four missions. The first two however were just small tutorials on how the game plays, efficient at getting me started, sure, but I missed some flair at this stage (motivation of the characters, a bit of storytelling, learning while playing). They didn’t really feel like they were part of the actual game. 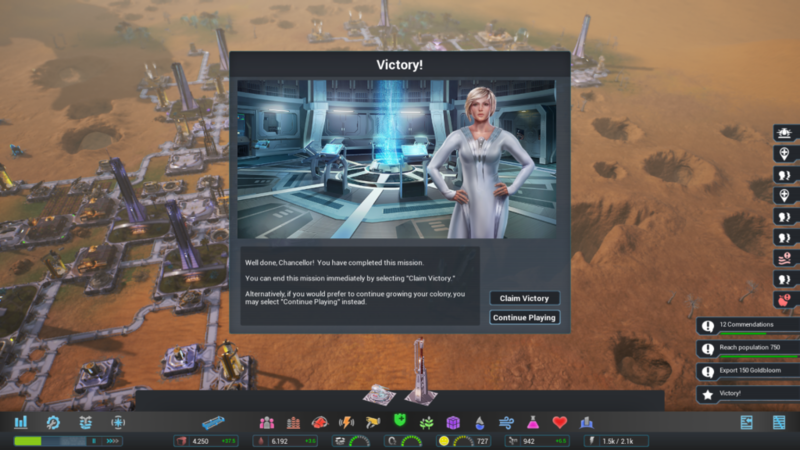 The first real Mission I had to go on was in the Vanaar region, where you start with a very small colony and have to expand it. At first the flow felt alright, as I was just following the sub-missions which guided me to build things like mines, farms and power sources. My colony kept growing bit by bit and the population kept rising. At this point I had to start tending to the colonists’ wants and wishes, as they also needed to be kept healthy and entertained. No free health care ? What is this, the USA? At the 80 minute mark I started wondering what the victory conditions of this mission were though, as the game wasn’t very clear at pointing this out to me or showing me how well I was progressing. After digging around through all possible menus I rediscovered that I was supposed to build an Earth History Centre. I did just that as I had resources to spare, but it still didn’t end the level. Reading further into it, I noticed I should be building an even larger population. So I got started on that: I got it up to 400, then 500, then it jumped up to require 750 and ultimately 1000. At this point I was slowly running out of space on the map to actually put buildings and I also needed more farms. My motivation to keep playing took a plunge and I wondered if I had just been inefficient in how I had played the game. Still, this was the first true mission and I had expected something of a learning curve. Just a tad more handholding could have gone a long way. Since things were going south anyway, I decided to have a little fun and started removing farms, air filters and water supplies. The populace descended into chaos and my colonists started dying. 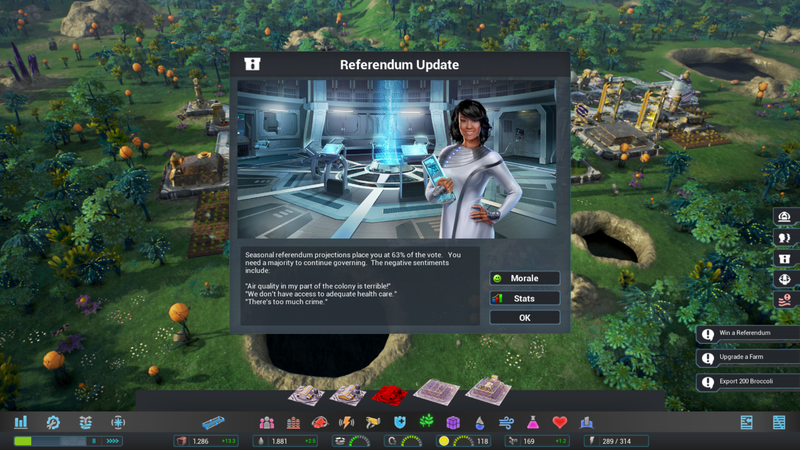 Strangely enough I got to keep being their governor for quite some time until the next referendum where 0% of the 0 living workers voted for me. Besides some numbers going down and some colours going red, there wasn’t too much visual feedback of the bad work I was doing however and this also led me to care less. The same could be said for elements outside of my own initiative: there were thunder strikes that could be prevented with lightning towers, meteors that could be shot down or crime that could be prevented. But none of these seemed to have too big an impact on my colony to the point I felt I could just ignore them. I decided to then play the 4th mission, Sandy Gulch, which I expected to have sandwurms from what I had seen of the game beforehand. But even when these emerged, they seemed to cause no damage to surrounding building so again I found it hard to care. During this mission I was also introduced to expeditions and I was really hoping these would change up the game a bit. Unfortunately they remained limited to simple point and click actions to rescue humans or research dead sandwurms (I’d rather have been on an extermination mission to kill one of them). 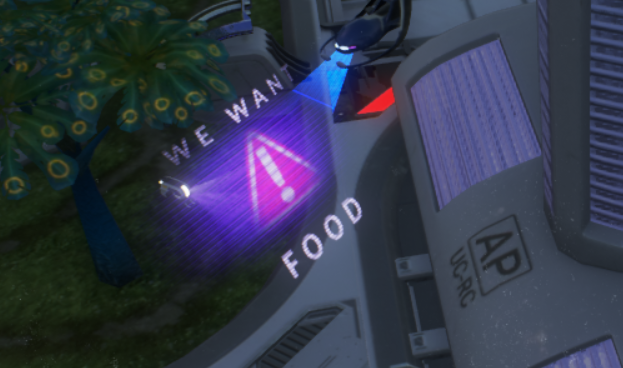 I also discovered during this mission that you can largely ignore the humans in the game and focus first on drones, mines and nanite processors (nanite being the game’s main currency for building). 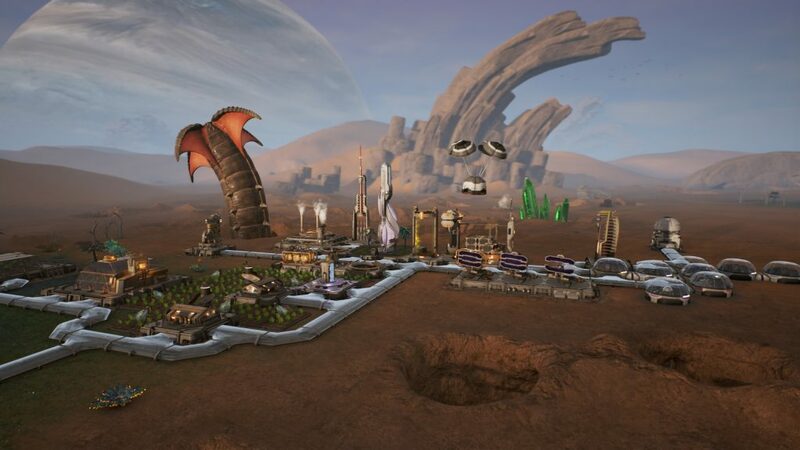 Once you had enough nanites, you could start building the colony as you pleased. The colonists were an afterthough but you sometimes require a certain number of them to achieve “victory”. While the previous mission took me upwards of 90 minutes to eventually still fail, this one took me about 20. For those who got invested in their currently colony though, you’ll be glad to hear that you’re offered an option to just keep playing even after finishing the level.